Mastic and Silicone Sealing and Pointing. Fire Mastic. GPB (Mastics) Limited are a specialist mastic joint sealing applicator operating in Southern England including Kent, Sussex, Surrey, Hampshire and London. We carry out mastic sealing and silicone sealing, apply intumescent fire sealants and carry out window and door mastic pointing, including expansion joint sealants. From individual private houses to large housing estates and blocks of flats we seal everything from external windows, doors and expansion joints to kitchens and bathrooms including any airtest sealing or fireproofing sealant works. As well as external windows, doors and cladding systems we seal industrial floors and concrete car and lorry parks. We seal expansion joints in all types of civil engineering environments from section of the Channel Tunnel Rail Link to Sea Walls requiring accelerated sealants that cure between tides. GPB (Mastics) Ltd can advise on all aspects of replacement and remedial joint sealing from product selection, method of carrying out works, access solutions and costings. Not only do GPB(Mastics) Ltd carry out conventional mastic joint sealing to expansion and construction joints in concrete tanks, hardstandings, footpaths and roads but we also apply specialist flexible bandage joints to structural movement joints within tanks. In addition we also carry out High Pressure Water Jetting & Concrete Repairs and Waterproofing and application of Specialist Protective Coatings to both new and existing tanks. Established in 1997, all our labour are NVQ qualified, have CSCS cards and the company is a member of the Association of Sealant Applicators. We have carried out works on projects ranging from a single house to large offices, hospitals and schools. Advice and quotations for all projects from a small private bathroom or kitchen to the largest developments are available free of charge with no obligation. Please see our contact page to get in touch. 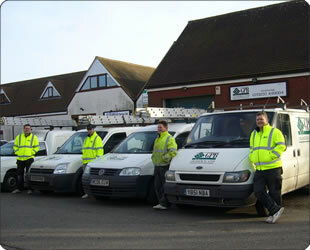 All GPB (Mastics) Limited staff have CSCS cards. GPB (Mastics) Limited is a member of the Association of Sealant Applicators. CITB is the national training organisation for construction in the UK. The site provides news, advice and information on careers, education, training.